New Mortgage Rules Would Limit Risky Lending The Consumer Financial Protection Bureau's new rules that are scheduled to be released Thursday come at a time when regulators and banks are trying to find a middle ground between overly lax and overly tight lending standards. The rules will go into effect next January. New federal mortgage rules come at a time when regulators and banks are trying to find a middle ground between overly lax and overly tight lending standards. The Consumer Financial Protection Bureau is releasing Thursday much anticipated new mortgage rules, which will restrict the kind of subprime lending practices that caused both the financial and housing sectors to crash five years ago. The new rules come at a time when regulators and banks are trying to find a middle ground between overly lax and overly tight lending standards. About a decade ago, mortgage lenders started broadening their base of customers by offering an array of exotic loan products with esoteric names: subprime, Alt-A, or low-doc loans that required little to no documentation of income. Teaser rates and option ARMs that offered low initial monthly payments that later ballooned. Those loans got millions of borrowers into loans they ultimately couldn't afford, and it resulted in one of the worst crashes in modern history. "It's important not to forget where we came from," says Richard Cordray, director of the consumer watchdog agency that issued the new rules. "We have a financial crisis and a lot of pain and misery in this country that was caused by reckless lending and toxic products that should never have been offered and that this rule will see are never offered again." Cordray says these products are now things of the past. "We've gotten tens of thousands of mortgage complaints at this point. A big number of them are people who are in trouble now because of reckless lending practices that occurred before the crisis," he says. "If the consumer bureau had been in place 10 years ago, I think none of that would have occurred." The bureau worked with banks and outside groups to hammer out the rules. Among other things, the rules define what are called "qualified mortgages." These cap upfront fees at 3 percent of the loan amount, do not balloon over time and limit borrowers' debt payments to less than 43 percent of their pretax income. In exchange, lenders that issue mortgages meeting those standards can reduce their legal liability. But these rules come at a time when lending standards have swung the other direction. 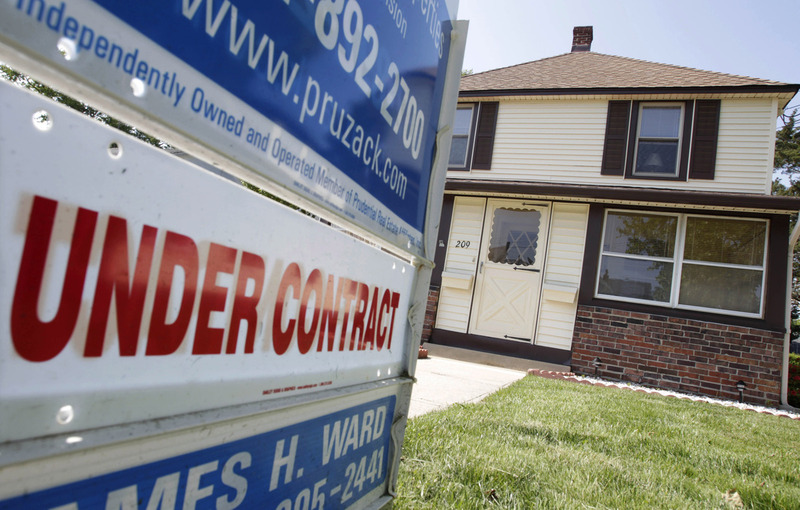 Many believe it's become too hard for consumers to get mortgages. To try to address that problem and to encourage lenders to find a healthy middle ground, the bureau established an alternative, more permissive definition of "qualified mortgage." So, for example, if a borrower's debts exceed the cap by a little, banks will still have some flexibility. By offering a more relaxed standard in the short term, the bureau hopes to give both the banks and consumers time to get through this period of relatively tight credit. The rules will go into effect next January. Susan Wachter, a professor of real estate finance at The Wharton School of the University of Pennsylvania, says the new rules may mean some people will no longer be able to qualify for a mortgage, but those who do will have a much better chance of staying in their homes. The banking industry often talks about the CFPB and its efforts with fear and loathing, but Wachter says the financial crisis demonstrated how all lenders suffer when there are lax lending standards. She says she expects many lenders will therefore throw their weight behind these new rules. "The risks were not understood. The risks were not understood by industry itself because the information was not out there," she says. "I think the banking industry itself is looking for safety from practices that have proved to be unsafe." The bureau plans to announce another set of mortgage rules next week. Those will govern how lenders must handle loans once they are issued and if they fall delinquent.